Thanks to all those who hopped along with me on The Robin's Nest Christmas blog hop. Congratulations Lisa, hopefully you will find the dew drops enjoyable as much as I have! 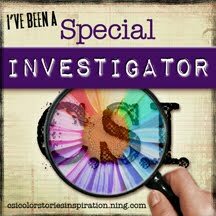 For every case file, you have to make use of all colours in the scheme, you must have at least two items of evidence and one testimony. 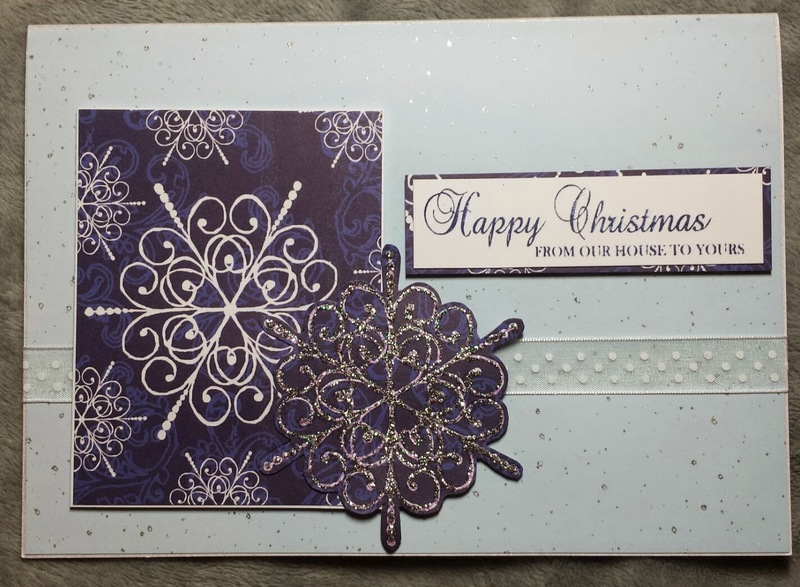 For my first card, I used the Sky Blue Glitter cardstock as the background and added a white ribbon around the card. 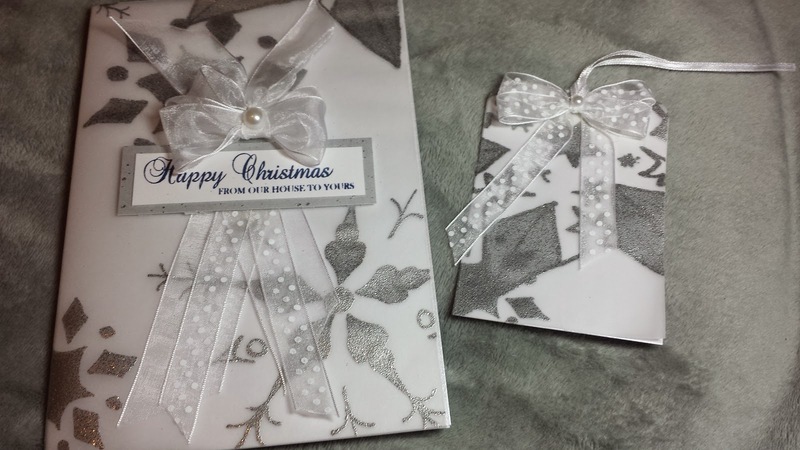 I then cut a piece of the Winter Snowflakes cardstock and matted it with White Glitter cardstock and fussy cut one of the large snowflake images, gave it some sparkle with stickles, layered it over the larger snowflake image and added a sentiment. 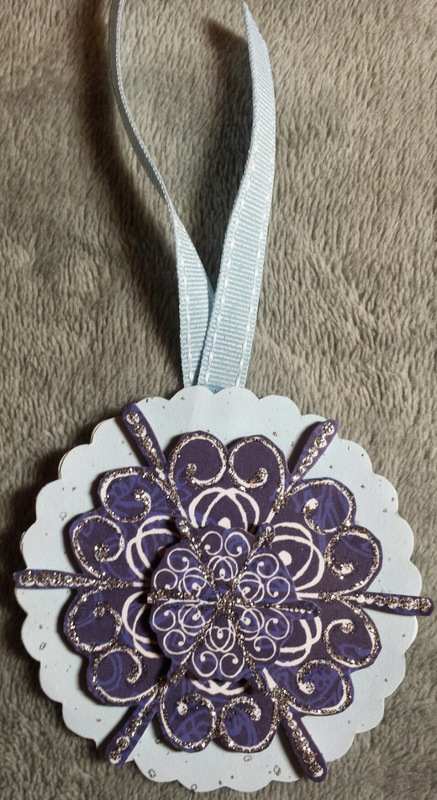 The matching tag was created by cutting out a scalloped circle tag from the Sky Blue Glitter cardstock and fussy cutting a large snowflake image from the Winter Snowflakes cardstock. 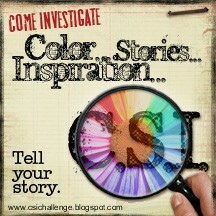 I added a blue ribbon to complete. 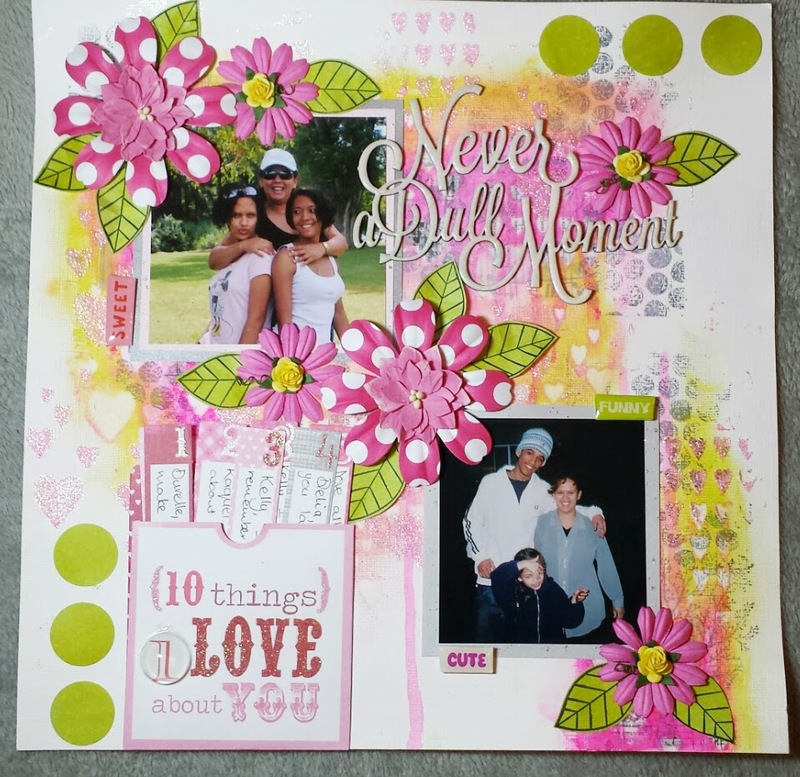 For the second design I covered plain white cardstock with the Irredescent Snow Glitter Vellum paper. 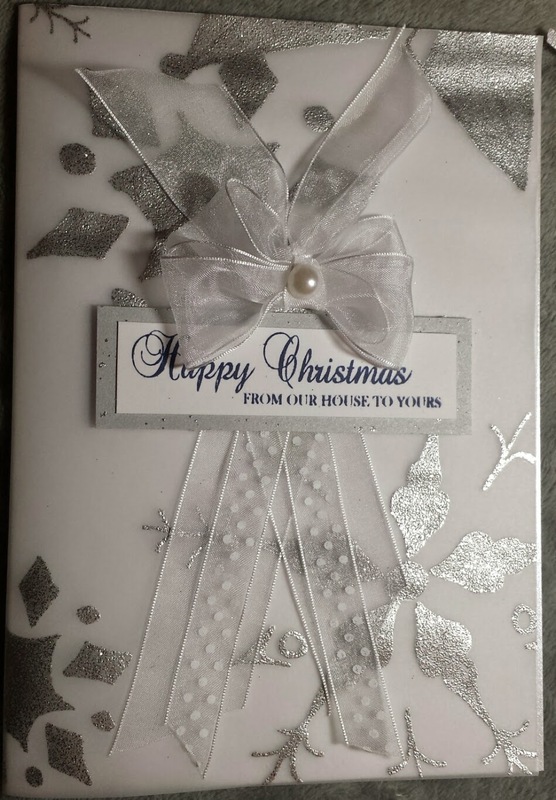 I added white ribbon and a sentiment matted on Silver Glitter cardstock and finished off with an upside down white bow. 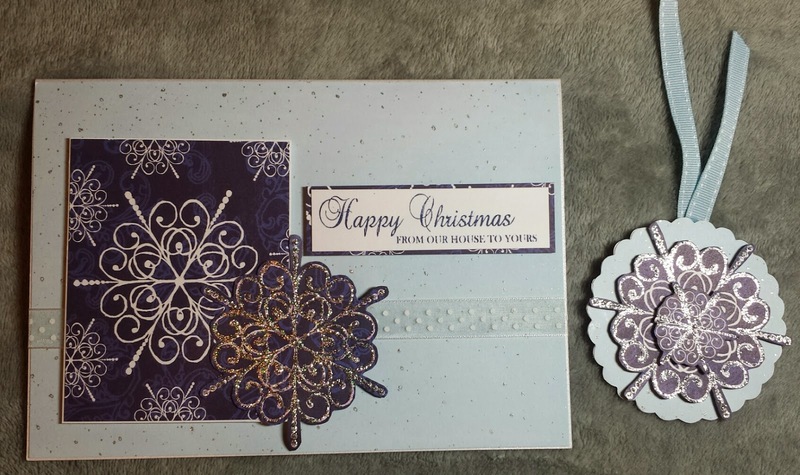 The matching tag was created using a die to cut the tag from plain white cardstock and the Irredescent Snow Glitter Vellum and finished of with white ribbon. 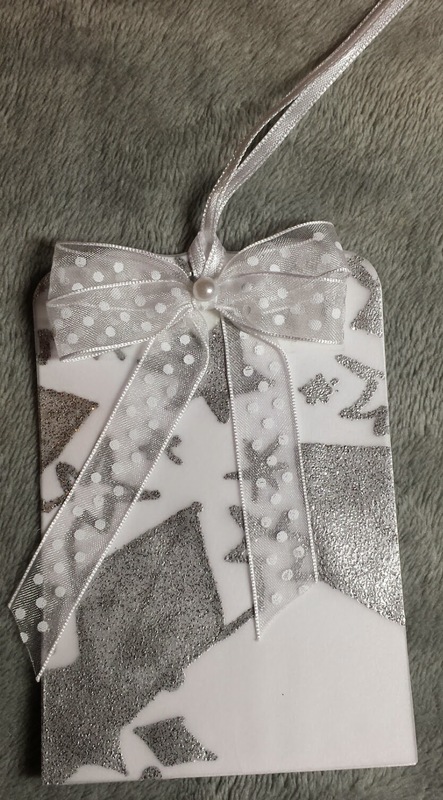 I loved the Glitter Snowmen so much that I decided to make more gift tags....you can never have enough tags at Christmas, right?....or is it just me? The gorgeous gold and red dew drops formed the buttons and ribbon served as excellent scarves. 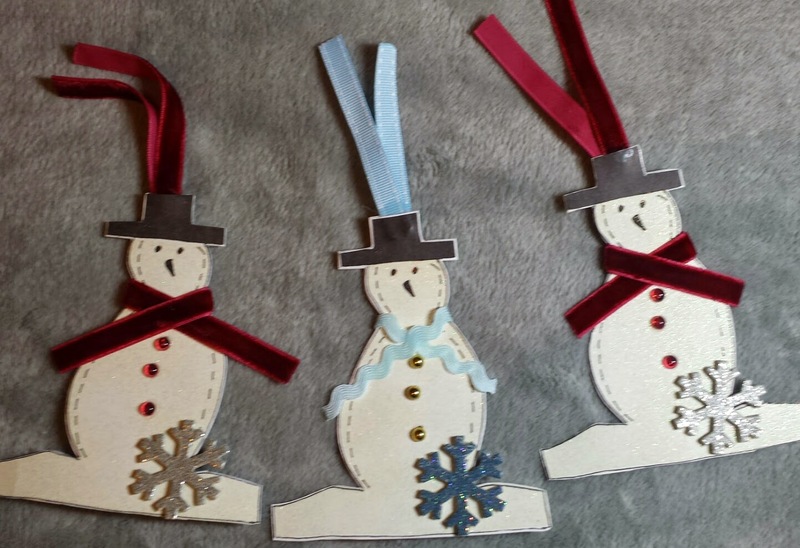 To keep the snowflake theme going, I added the winter snowflakes glitter chipboard to each snowman.